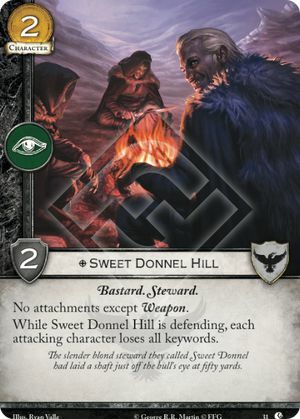 While Sweet Donnel Hill is defending, each attacking character loses all keywords. The slender blond steward they called Sweet Donnel had laid a shaft just off the bull's eye at fifly yards. Lions of Casterly Rock #31.